Jacques Ibert was born in Paris in August 15 th 1890. His mother, an accomplished pianist, provided violin, then piano lessons for Jacques, despite his father’s wishes that his son follow in his business profession. From the beginning, Jacques always was more interested in free improvisation on the piano than concentration on technique and repertory. After deciding to become a composer, his cousin ,Manuel de Falla, encouraged him in this field. After graduating from secondary school in 1908, he delayed entering the Paris Conservatoire in order to help his father, whose family business had suffered a financial setbacks. While working there, his plans switched from music to acting, an interest stimulated by meeting actors ,singers, artists and writers during the family’s earlier travels. His interest in theatre would be remain important for him throughout life. Finally in 1911, Ibert entered the Paris Conservatoire, and was taught by Pessard , Gédalge, and Vidal. Among his classmates were Darius Milhaud and Arthur Honegger, with whom he would work later on several occasions. His father unhappy about his music studies, had withdrawn financial support, so Ibert earns his living by working as an accompagnist and writing light piano pieces and popular songs under a pen name. His previous skill improvisation became useful when he was employed as a pianist at sillent movie théâtres where he composed scores to fit the action on the screen. He later was to write over sixty film scores for sound movies. World war I interrupted Ibert’s studies at the Conservatoire .He joined an army medical unit, and was decorated with the Croix de Guerre by the French government. Shortly after returning to the Conservatoire, Ibert stood for the competition for the Premier Grand Prix (Prix de Rome). He won the prize,which meant living up to three years in Rome at the Villa Medici, in October 1919. During his stay at the Villa Medici, from February 1920 to May 1923 Ibert produced some of his best known works such as « La Ballade de la Geôle de Reading » and « Escales ».. 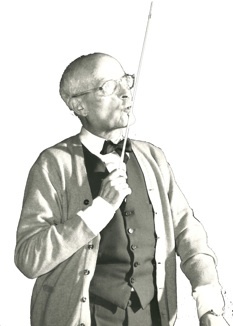 In 1937 Ibert was named Director of L’Académie de France à Rome, the first musician to hold this post. He was responsible for administrative duties and supervision of the Prix de Rome winners. He held the position until 1960., although World War II forced him to leave Rome for a few years. In 1955, Ibert was appointed General Administrator of the Réunion des Théâtres Lyriques nationaux (the combined management of Paris Opera and Opera Comique). In 1956, he was elected to the Académie des Beaux Arts of the Institut de France. He died in February 5th 1962.